Online engagement and strong brand awareness are essential for IT graduate recruitment, according to e-recruitment software provider WCN E-recruitment. A recent event hosted by WCN in London attracted more than 70 attendees from companies such as JP Morgan, M&G Investments, HSBC and Lloyds Banking Group who wanted to gain insight into the future of graduate recruitment. 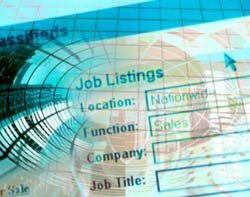 Attendees of the event agreed that a sense of frustration is building among graduates when searching for jobs online, because many feel they have skills that overlap several different sectors. Head of business development at research firm Potentialpark, Bjorn Wigeman, said research by the company revealed 47% of generation Y candidates (those born around the early 1990s) have given up on an application form, and 84% said they would spend more time on an application form if it made more sense to them. Potentialpark researches between 15,000 and 30,000 candidates each year across Europe. “There is a strong theme developing, that candidates feel that applying for a job should be a ‘fun’ experience, not time heavy and surrounded in confusion," said Wigeman. "Companies need to have the candidate in mind and cater the website towards the needs of those you are targeting. BlackRock vice-president of campus recruiting for Europe Felicity Brindle said the investment management firm has recently tried to streamline the whole candidate experience. “Three-and-a-half years ago most graduates thought we were just about investment and didn’t understand our whole career offering," she said. "To change this we’ve streamlined our processes into six graduate employment sectors – client business, investment, analysis and risk, technology, advisory and strategy, and corporate – across all 72 departments globally. WCN US managing director Jeanette Maister stressed that recruiters need to move away from outdated tools, such as Microsoft Excel, Survey Monkey and Microsoft Word, and try utilising new online technologies and social media.